The most qualified Nannies in Lancaster County PA are highlighted by ABC Nanny Source and presented to families in the local area! 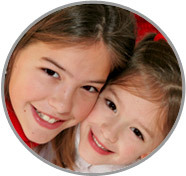 Nannies in Lancaster County PA with as much nanny experience as Merlan are in high demand! Please call 717-221-1020 today to speak with a placement counselor and start your search among the perfect Nannies in Lancaster County PA!